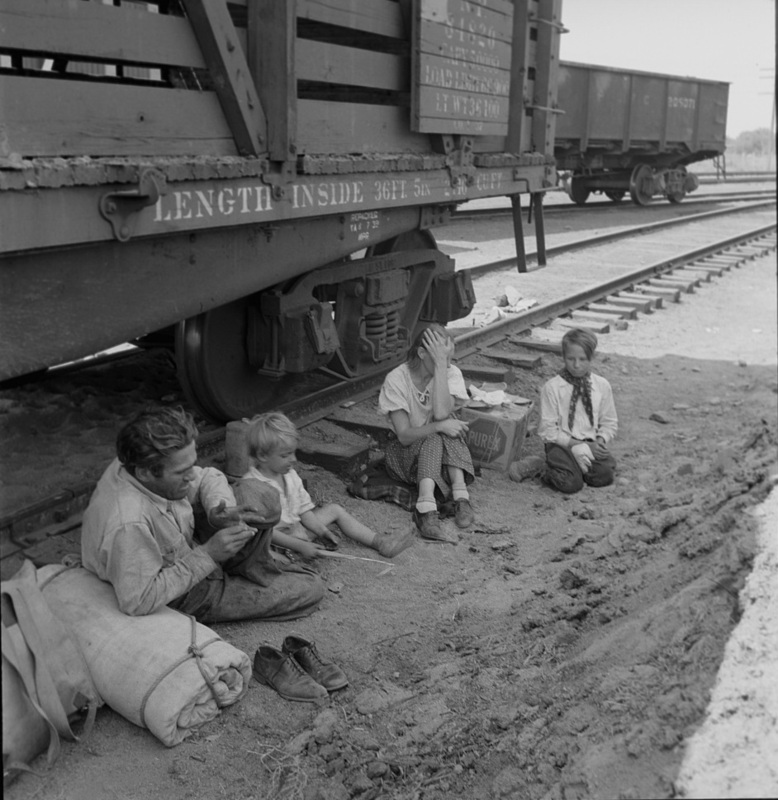 Family Traveling by Freight Train. Yakima, Washington, 1939. Photo by Dorothea Lange.